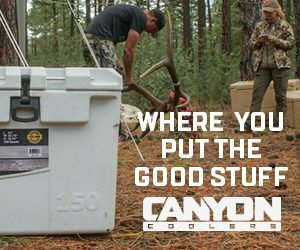 Certain pieces of backcountry gear are crucial to a successful hunt. During this review, I wondered which piece of gear that I use is the absolute most important. During my years of hunting the backcountry, I’ve experienced gear failures from almost every imaginable piece of equipment, including tents, backpacks, bows, optics, clothing, knives, headlamps, and the list goes on! After reminiscing each of these gear failures, I realized that in each case the hunt was able to go on without too much difficulty. 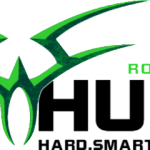 This even includes a compound bow coming apart on the mountain, eight miles deep with only two days left to hunt for a limited entry bull elk tag! We were able to hike to the trailhead, drive into town, purchase a new bow, return to the trailhead, hike back in and put a nice 6×6 on the ground with half a day to spare! Another time, we had a bear completely demolish not one, but two tents in the backcountry! Although we were not comfortable, we were able to start a small fire, dry our gear out, and spend the night huddled by the camp fire and continue hunting the following day. On the other hand, I recalled some serious issues I have seen with feet and poor hunting boots. More often than not, these issues result in extreme blisters from uncomfortable or improperly broken-in boots. In most cases, the hunt was completely ended. I’ve seen blisters the size of golf balls on the heels of hunters. When blisters like this occur, no amount of mole skin, or brand new socks, or even duct tape can remedy the situation. The hunt was just over! I’ve seen guys hobble off the mountain, in pain every step of the way, and forced to wait days and weeks until the blisters healed to continue hunting. I came to the conclusion that having the best pair of hunting boots that are properly sized and comfortably broken-in may be the single most important piece of equipment to insure a successful hunt. After years of trying numerous boots on the market, I have finally found a great pair of boots that meet some very strict requirements I demand out of my backcountry hunting boots. The three main areas I require from a hunting boot are comfort, stability, and durability. 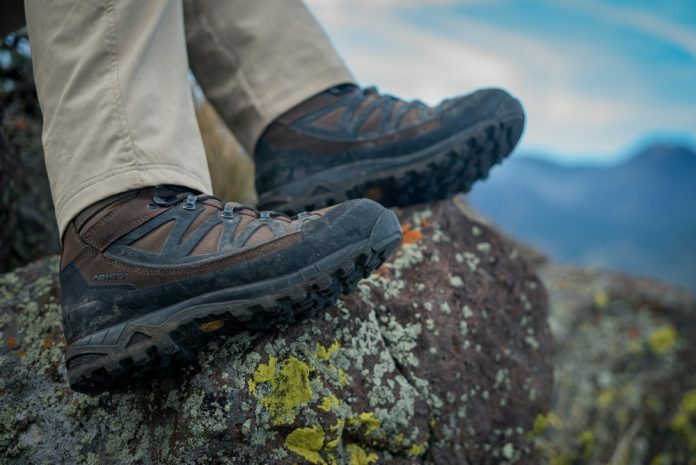 I’ve had the chance to test the Crispi Idaho GTX for the past several months. These boots meet, and even exceed, each of these requirements for a bomb-proof, early season backcountry hunting boot! This is the #1, most important feature I look for in a hunting boot. It’s the first thing I check for in the store when trying on boots. And, it’s the first thing that will ruin a hunt when I’m miles deep on a hunt and can’t afford problems. If a boot fits uncomfortably, the result will be blisters. As many miles as I hike to get into the backcountry, any discomfort will lead to blisters before the hunt even begins. Other boots I’ve worn advertise a long “break-in” period to make them comfortable. The first thing I noticed about the Idaho GTX is that Crispi makes them comfortable right out of the box. I didn’t have to wonder, “Have I actually met the break-in period for my boots?” or “Am I going to find out when I’m 10 miles deep that my boots aren’t broken in yet?” These are questions I can’t afford to worry about. Features such as Crispi’s Board Lasting Mechanical Construction offer the perfect combination between torsion rigidity and flexibility. A backcountry boot must be rigid enough to handle the ups and downs at 10,000+ feet yet flexible enough not to cause blisters on the 10+ mile hike into the country. The Board Lasting Mechanical Construction provides the perfect balance of rigidity and flexibility. Another feature I’ve noticed that adds comfort is the CCF or Crispi Crossbow Frame. This is literally a shock absorbing system built into the sole of the boot. I noticed this feature most while carrying heavier loads. The shock absorbed by my foot, especially when stepping on jagged rocks or uneven terrain, was transferred into the boot rather than my foot. I felt that the weight of the load was not directly transferred to my feet. In the past, I have noticed that if a boot doesn’t absorb some of that fatigue, I will wake up with aches and tiredness in my feet, especially after 5, 7 or even 10+ days of hunting the backcountry. When I was playing high school basketball, I remember always having my ankle taped before each practice and game. I had problems rolling ankles so the athletic trainer would tape my ankle for added support to limit the chance of spraining an ankle. In the backcountry, I don’t have the resource of an athletic trainer to tape my ankle every morning before I hunt. This would be nice, but I still need that support. The backcountry terrain is much rougher and more uneven than a basketball floor. In the past, I’ve just accepted the fact that I will roll my ankle once or twice during a week-long hunt. If I was lucky, it wouldn’t be too bad and I would be able to hunt through it. Crispi has eliminated that problem by providing their A.B.S.S. feature or Ankle Bone Support System. The A.B.S.S. feature fits about as snug to my ankle as an athletic tape job. As a result, my ankle isn’t fatigued as quickly and I’m able to hunt longer, more comfortably, with less risk of rolling an ankle in the backcountry. I have no doubt the Idaho will be a durable boot, no different than the previous Crispi boots I’ve used. The same stitched rubber rand surrounding the boot protects from rough, jagged edges that would normally cause immediate wear and tear on other boots. Before the Idaho GTX model, my brother Jason wore the Crispi Nevada Legend model. He still hunts in them after two years of the most grueling backcountry use and abuse possible! Other boots we’ve used don’t last an entire season, let alone two seasons and still going! I am excited to see if I can wear out a pair of Idaho GTX’s but it may be years before that happens. The Idaho is also equipped with the industry leading Vibram rubber sole. It seems other boot brands have tried to copy the Vibram sole but none have matched its durability and function ability. In the past I’ve noticed small chunks of rubber missing from non-Vibram soled boots. Also, in my opinion, no other sole has the grip on wet, slippery rocks like a Vibram sole. Slipping and falling with a loaded pack on a decent down the mountain is not only annoying but very dangerous in the backcountry. The Crispi Idaho GTX is also backed by a Gore-Tex lining, which is the industry standard for moisture protection and is “Guaranteed to Keep You Dry.” Gore-Tex seals out moisture while still allowing sweat and moisture vapor from inside the boot to exit, keeping my foot dry and less prone to blisters. I cannot stress the importance of a breathable boot, especially in the Idaho GTX model, which is an uninsulated, earlier season boot. Success on my backcountry hunts starts from the ground up. The Idaho GTX is my go-to, early season backcountry hunting boot. It is the perfect combination of comfort, stability, and durability.